Thank you for training with us and for supporting our business. When registering, please include your name, email, a phone number, and the course you are registering for. Feel free to text your registration information to (470) 265 -7895 if you prefer. Click here for course descriptions and costs. Fill out the form below. In the message box, please specify which class you are registering for or inquiring about. 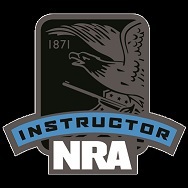 Thank You for considering Smart Firearm Training. We look forward to serving you. Be Smart not a Statistic!